The apparel retails from $22 to $50. It’s an unlikely pairing, but the partnership between Everlane and The New York Times works, as both have a perspective around climate change. On Everlane’s side, the company’s ethos centers around transparency and bringing to light just how many resources it takes to produce a piece of clothing. (It also recently debuted a sustainable clothing collection dubbed ReNew.) The New York Times, for its part, recently ramped up its climate desk and coverage around the topic. 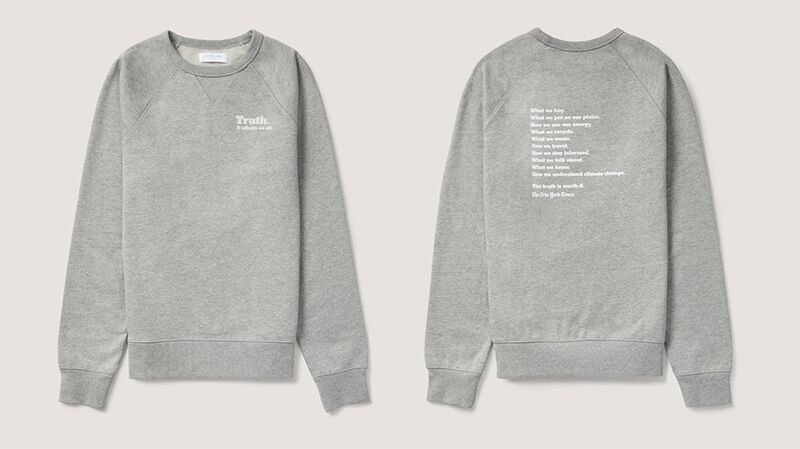 Enter The Climate Collection (it has its own landing page on Everlane.com), a limited release of five different items with a tagline of “Truth. It affects us all.” Based on where both companies stand on the issue, it was a partnership that naturally came together. “When we approached them, it was about, what can we do together and climate change felt like [a] natural extension of bringing both their work and our product together to customers to educate and inspire,” said Michael Preysman, CEO and founder of Everlane. 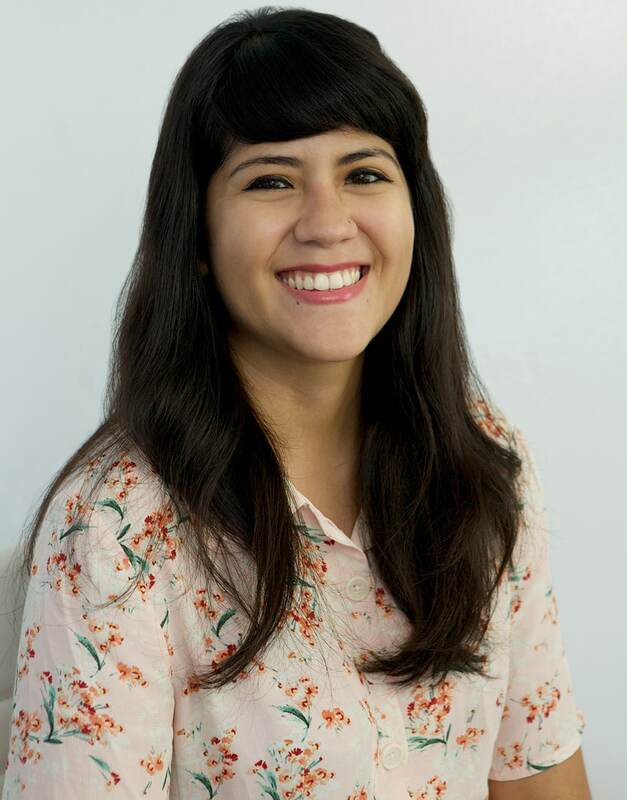 On the Times’ side, the partnership came about under the marketing and commerce team. David Rubin, CMO of The New York Times, said the goal of the Climate Collection—and the Times’ ongoing “Truth Is Worth It” campaign—is showcasing why the journalism from the company is different than others. Rubin said the company is seeing this collaboration as more of an “awareness and equity play,”’ as opposed to something that converts Everlane customers into New York Times subscribers or any other KPIs. Rubin didn’t disclose the business terms but said the company does get a share of each sale from Everlane and is putting all of that revenue towards the New York Times’ subscription sponsorship program. Nine students get access to The New York Times for every shirt that’s bought. The New York Times is matching it as well. “It’s a way for you to not only have the shirt and show your support for the role journalism has in the climate change discussion but it’s also a way for you to then also support putting The Times in front of a new generation of readers and then they’ll also get access to that climate change coverage as well as everything else we do,” Rubin said. Preysman said the partnership for Everlane helps elevate the clothing brand in becoming a “voice for change and sustainability and climate change,” while also “reinforcing” why the truth and facts matter. “I think so often we live in a world where customers don’t know what’s right or what’s wrong and you need to find the source of the truth. [Companies] like The New York Times and Everlane can stand for truth and hold ourselves accountable to that, [and that’s] really important,” Preysman said. And while plenty of research is out there to support the validity of climate change, there’s still the possibility of alienating customers who don’t necessarily believe in the scientific facts around it. But Preysman said that as a company, when they’re talking about the “truth,” they’re not too concerned with and if they alienate anyone. While some of that backlash is expected, the brands have also received negative feedback from Twitter users pointing out the hypocrisy in promoting the importance of climate change while asking people to buy a shirt or sweater. Preysman said Everlane’s mission isn’t perfect, but the company is attempting to give consumers an “alternative” of how some of these products are made. Rubin said anything The New York Times does “gets a mix of reactions,” but so far, he’s seeing an “overwhelmingly positive” response. Preysman said Everlane is monitoring how well this partnership performs to see if the two brands continue to work together. “It’s really geared towards education; the product is secondary,” Preysman said.